I love cucumbers. They're cool, refreshing, healthy and crisply delicious. They're also perfect for cocktails, as an ingredient and a garnish. 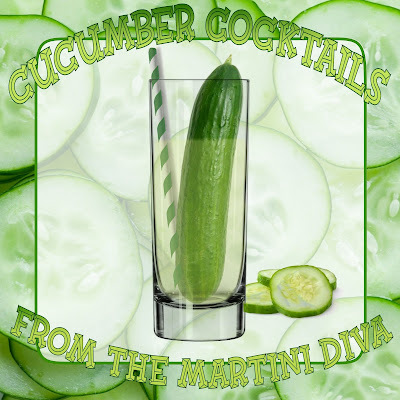 With summer upon us, nothing is as refreshing at the end of hot day as enjoying a nice cocktail infused with fresh cucumbers. I've done it a lot, as you can see below. National Cucumber Day is June 14th.